This step is important because of an undeniable fact that majority Japanese don’t speak and read English, so the localization is essential. Besides that, localizing the game would secure the Japanese gamers from playing it, this is because we know that Japanese gaming market in Asia contributing roughly 45% income of the Asia gaming market. We are also collaborating with China companies, with your authorization we will publish your game in China market too, which means that we would be able to secure as much as 83% of Asia gaming market by localizing and publishing your game in Japan & China. Publishing great games is one of our most important part of business model, this is because we are going to bring benefits to all our alliances by our monetizing plan. 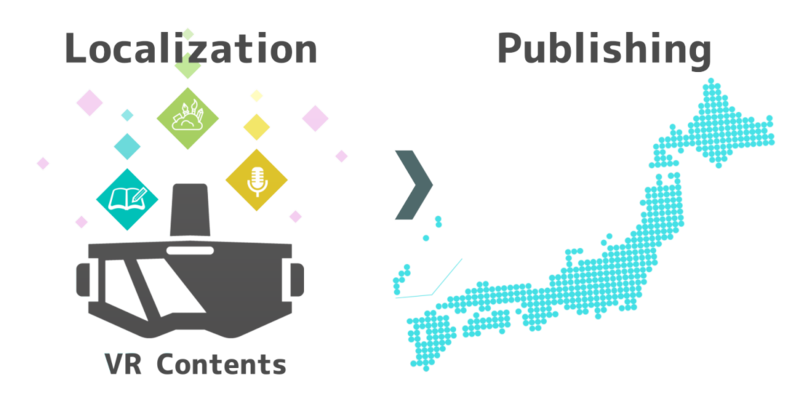 In order us to achieve the monetizing plan, we will first need to publish great games and promote them to the extend of they are well known by gamer society in Japan. The most important part is the stage after publishing, we will search for business opportunities in Japan and link them to our alliances. 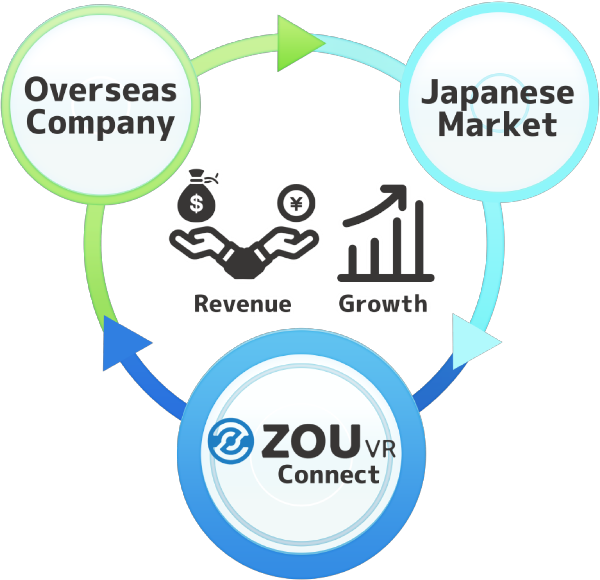 Monetizing plan is meant of bringing direct or indirect profits to our collaboration companies, ZOU searches business opportunities such as look for companies who need advertisement for their products, look for event companies that set up events and promote products, all of the business opportunities that related to Virtual Reality and link them to our collaboration companies. This is the profits that ZOU would bring to all of our alliances and which is a win-win situation that we strive to achieve. Please feel free to contact us and we can discuss more about on how we could collaborate and find out more what ZOU can do in terms of monetizing that bring benefits to all of our alliances. We have our in-house development team that has many years of experience in developing games using Unity, Unreal Engine, that who are famous in Japanese gaming industry. We are looking forward of continuously developing and publishing games that will widely accepted by VR industry, local or globally.